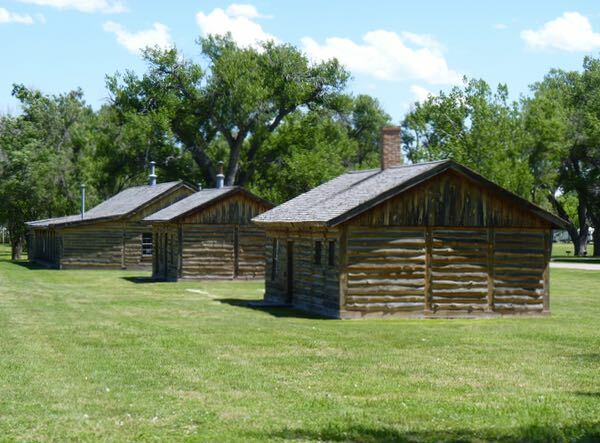 Fort Robinson was probably best known for the place where Crazy Horse, the great Oglala Sioux war-chief, chose to surrender himself and his 900 warriors. Unfortunately, it was also where he was killed during a scuffle when he was being jailed months later. 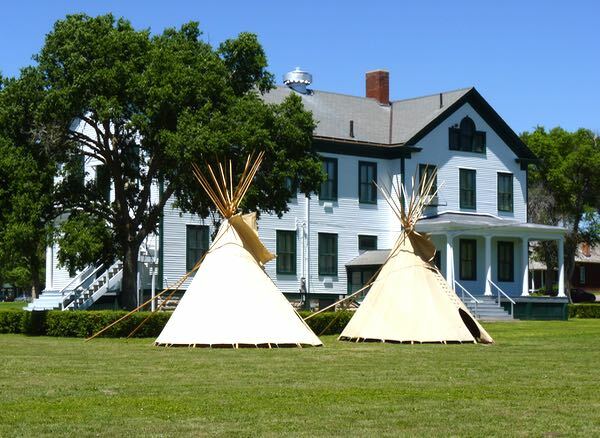 During 74 years, it served as a frontier fort, a base during the Indian Wars, support for the Red Cloud Indian Agency that distributed supplies to the natives, prepared horses for the cavalry, trained war dogs, prisoner of war camp during World War II, cattle research center, and now a state park. 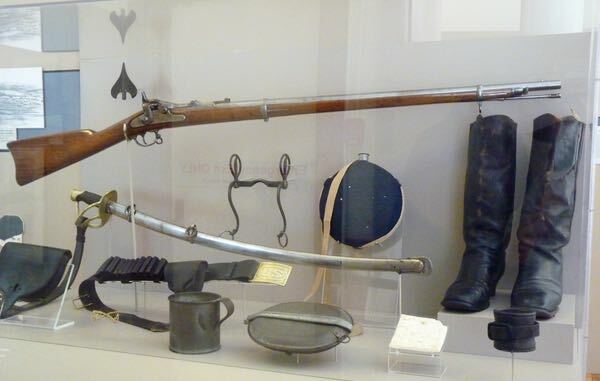 The museum had displays about the history, mission, and those that served at the fort. A sample officer’s quarters had period furnishings and explained how they lived. 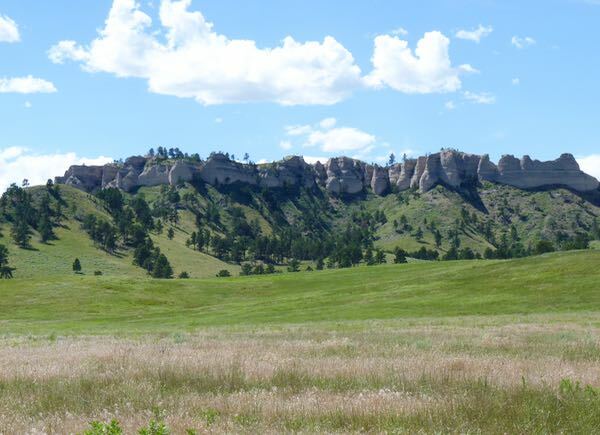 There were monuments to both Lt. Robinson, for whom the fort was named, and to Crazy Horse. 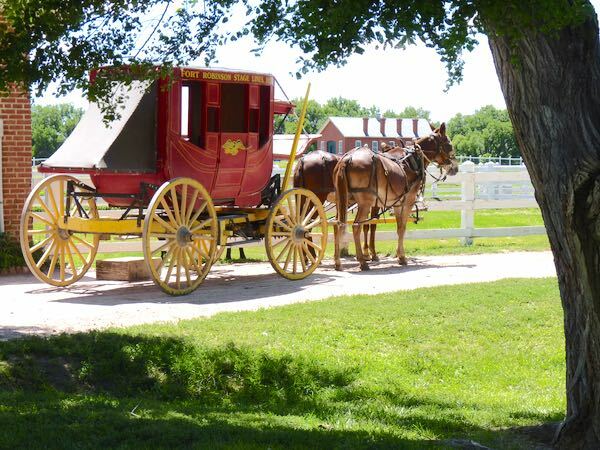 For a fee, there were hay wagon, and stagecoach rides. I had a very good lunch at the Lodge which was formerly a Barracks. Also, drove a road that went into the surrounding hills looking for the bison herd that hid from me. The area was also where some Cheyenne fled when they escaped from being poorly treated while imprisoned. I wasn’t planning to visit the fort. 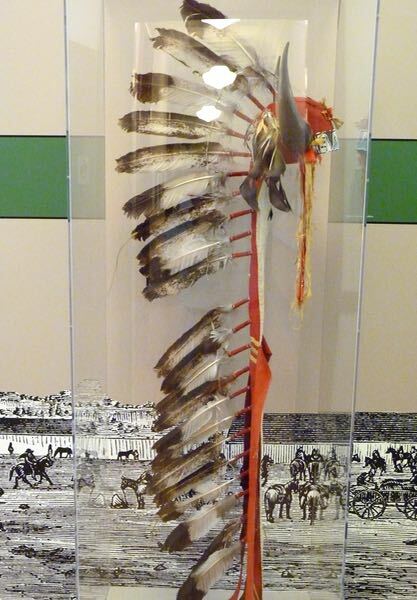 But, when I read it was the end place for Crazy Horse, it seemed a fitting resolution for my previous visits to the Little Bighorn Battlefield, and the Crazy Horse Memorial in the Black Hills. Always enjoy your posts and I’ve been wondering a few things lately: are you still painting? I don’t recall seeing you mention any of your paintings in quite sometime (I hope I didn’t overlook that). It seems as though you are always moving on to the next place to see (I certainly can understand that….always wondering what is around the next corner) but I wonder if you sometimes feel the need to just stay in one place for a week or two or more? Now that you’ve been a “full-timer” for over 2 years….what do you think? Is it everything you hoped for (and more)? Painting is going slowly as I learn to use the acrylics; a real challenge for me. Hope to make more progress with them this winter. Traveling to see new places is the exciting part of RVing for me. After a few days in one place, I’m itching to move on to another. Generally, I slow down in the winter months. Over two years roaming around and I feel like there is no end to the wonderful scenes I see. It’s what I should have done long ago, and hope to continue. Yes, it is everything and more than I had hoped it would be. The vagabond lifestyle seems to fit me like a glove. I love it! PS: I am weeks behind with posting about places I’ve been. So, I’m updating every couple of days. That may make it appear that I am moving more often than I really am.